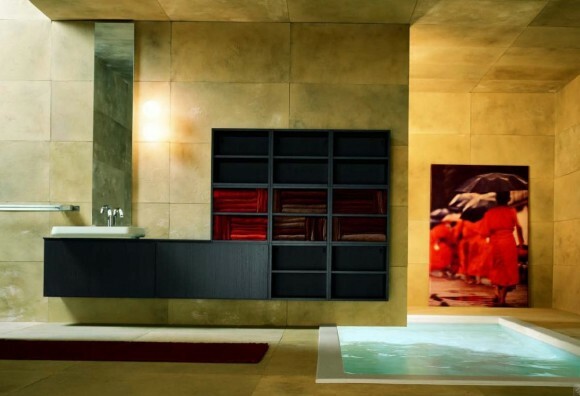 Everyone can be divided into two distinct types based on their bathing preferences. 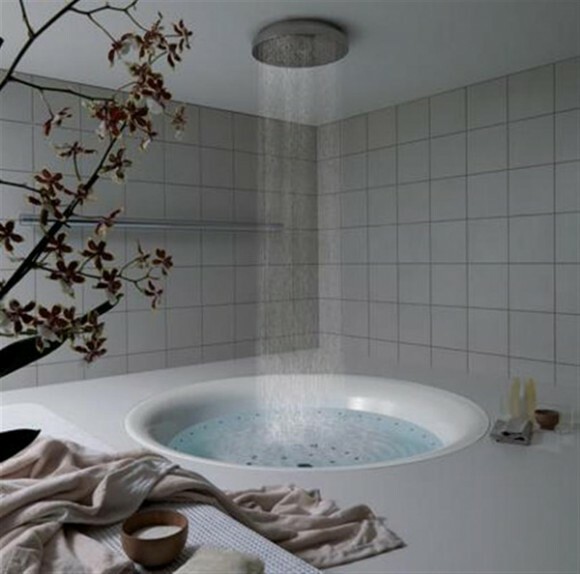 Some cannot do without a shower while others need a bathtub to feel clean. 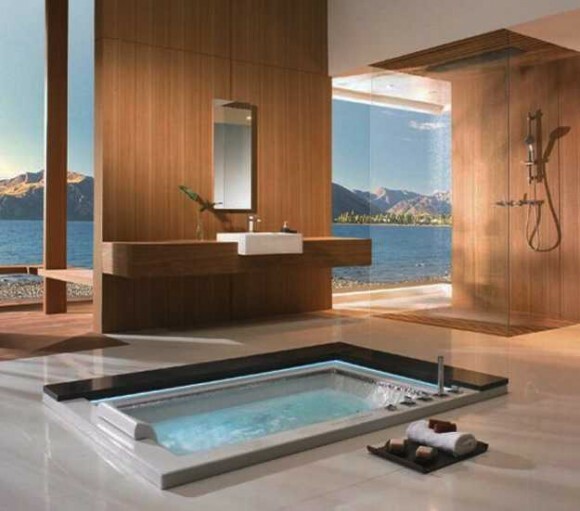 Does the idea of a majestic bathtub in your bathroom enthrall you? The very idea of soaking in a tub full of hot fragrant water with scented candles and a glass of wine just makes your day; doesn’t it? 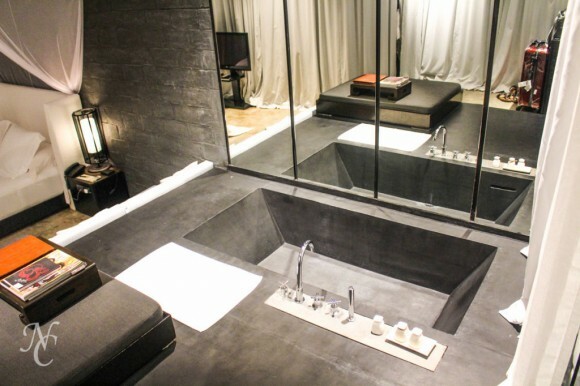 Wondering when you can start soaking in a sunken bathtub just to wash the blues away? 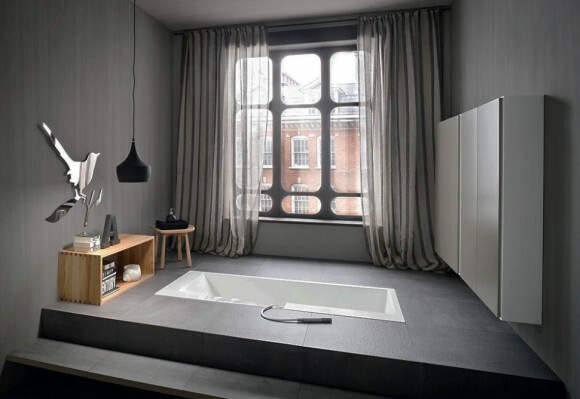 Unfortunately, most modern apartments are not large enough for a bathtub. 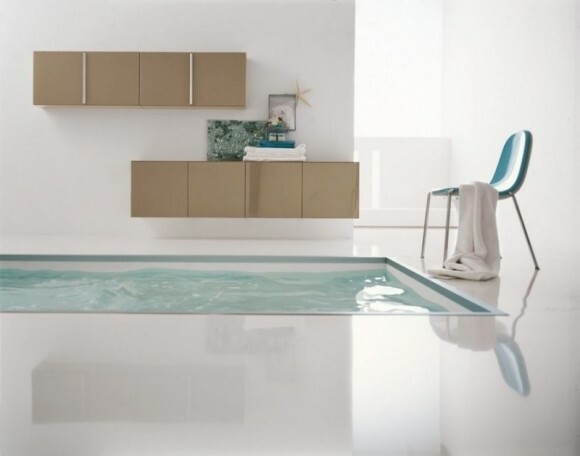 However, modern interior design answers this question and even if you have a small bathroom, you are very likely to find a bathtub that’s just right for your space. 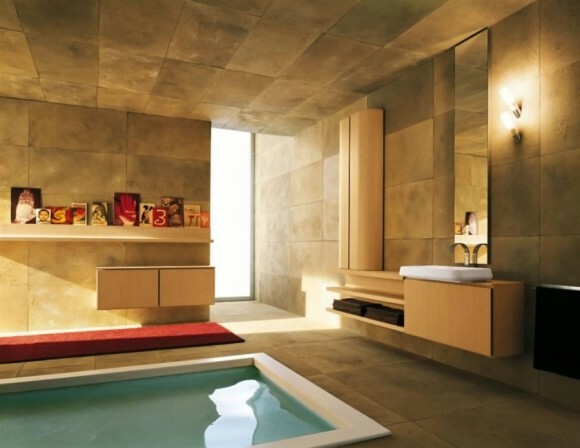 Are there sunken bathtub designs that will fit into your home and your bathroom? Surprisingly, yes! 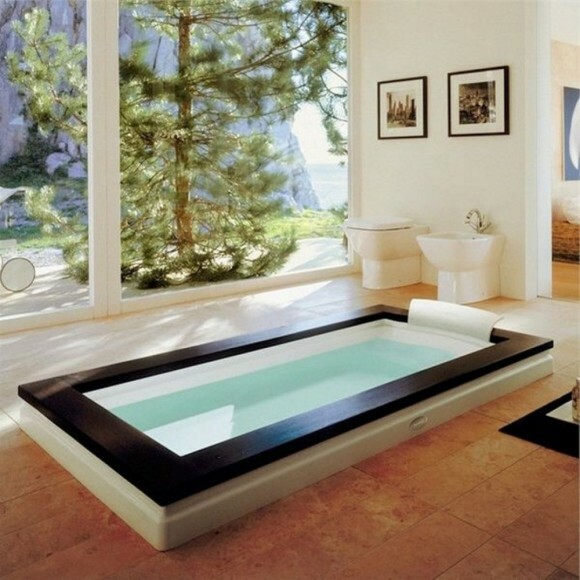 Interior designers have come up with several innovative floor level tubs that can fit into a bathroom of any size. 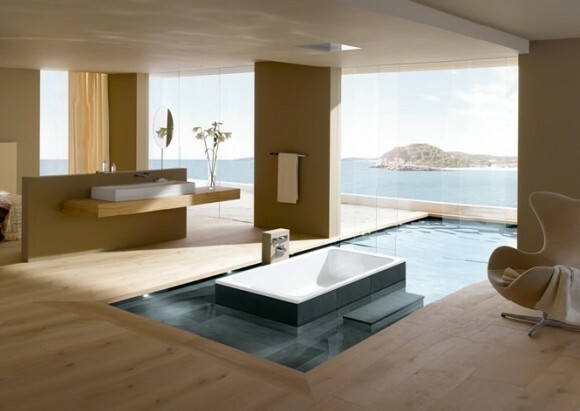 Take a look at these unique sunken bathtub designs for the modern home. 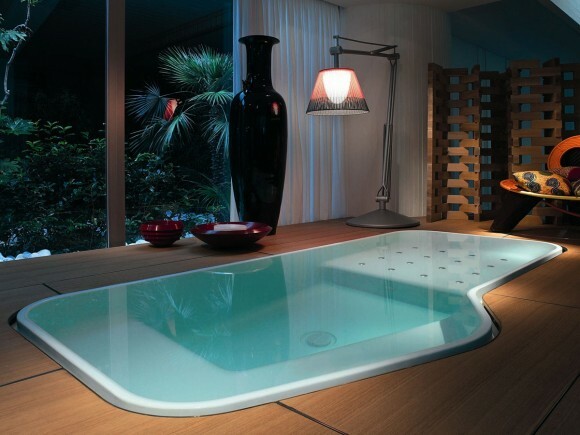 This sunken bathtub design is particularly attractive as it offers an infinity design. 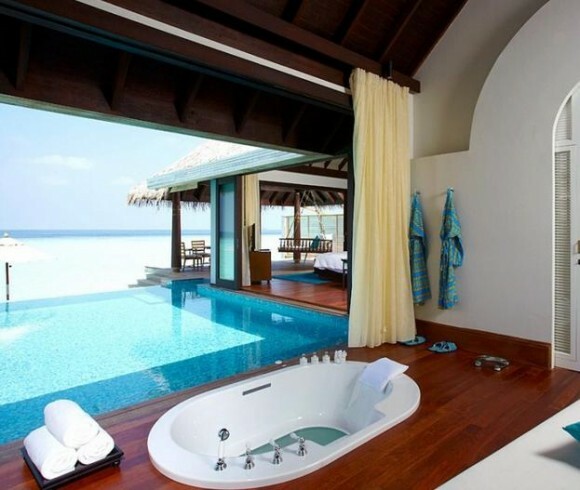 The pool borders the sea and the bather can look out directly on to the open sea while relaxing in this infinity bathtub. Of course, this outdoor pool is suitable only for large vacation homes. 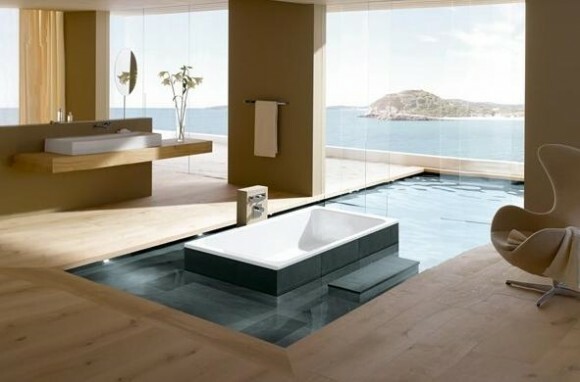 For a small bathroom, this indoor sunken bathtub is ideal. 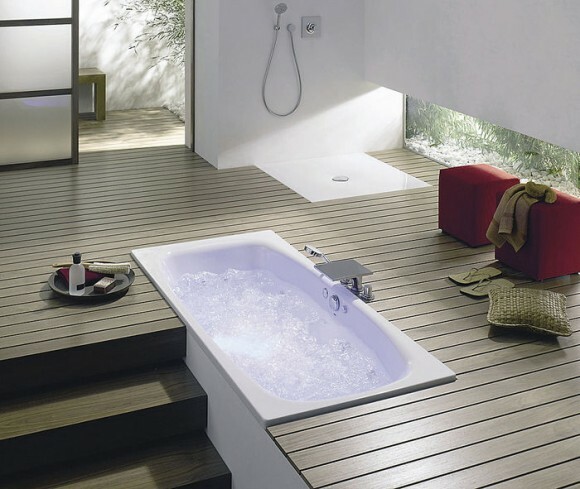 The bathtub can be built onto a wooden deck and it can easily accommodate one person at a time. 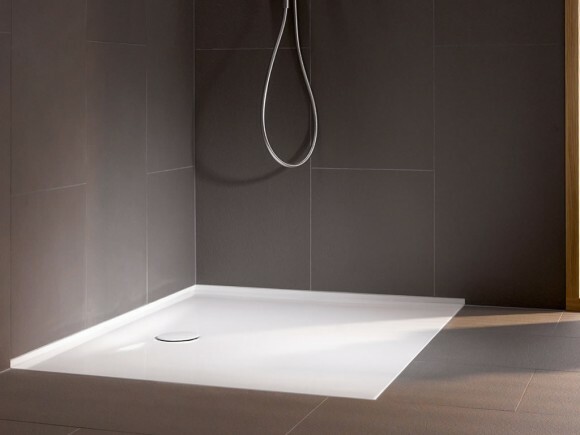 The floor level tub design is available in several sizes but the stainless steel version is very popular. 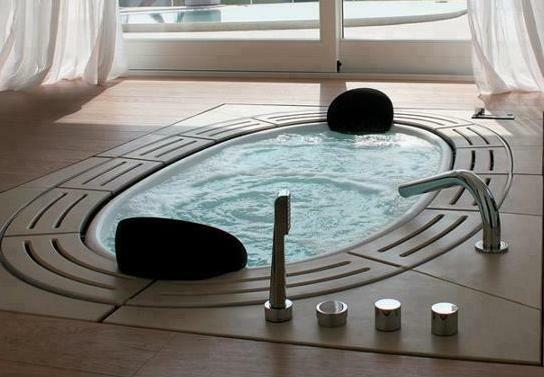 This sunken tub fits perfectly with an outdoor pool and gives the impression of an infinity bathtub. The window opens all the way for that majestic effect. 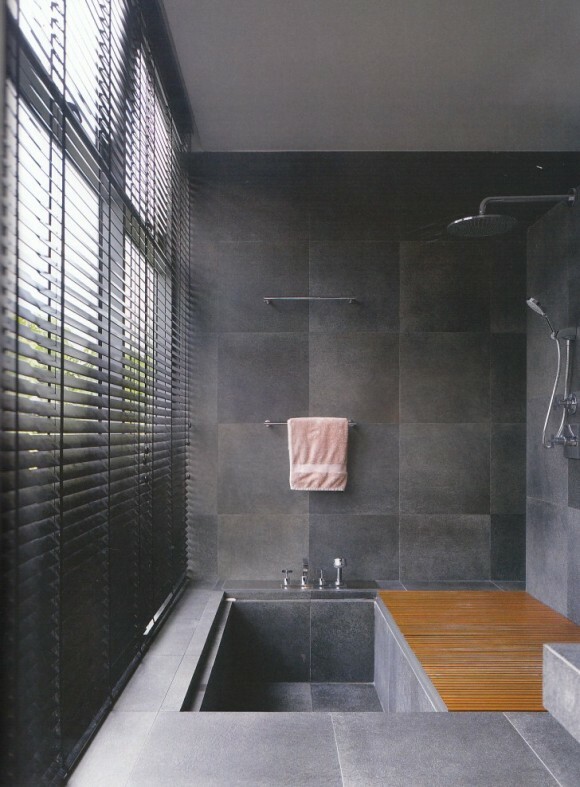 Not only does such a bathroom appear breathtakingly beautiful but it also makes the space appear larger. 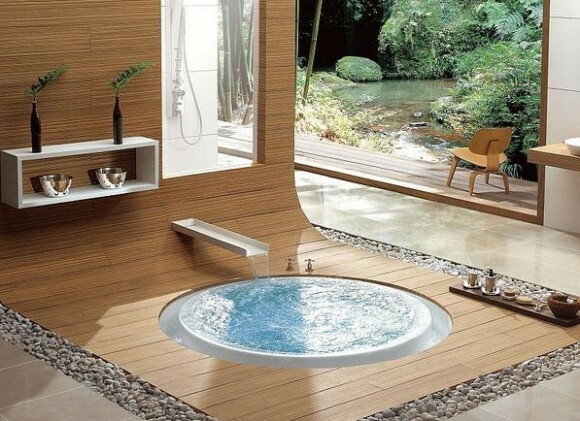 If soaking yourself in hot water up to your chin is the perfect way to relax, then this wood-toned sunken bathtub design is perfect for you. 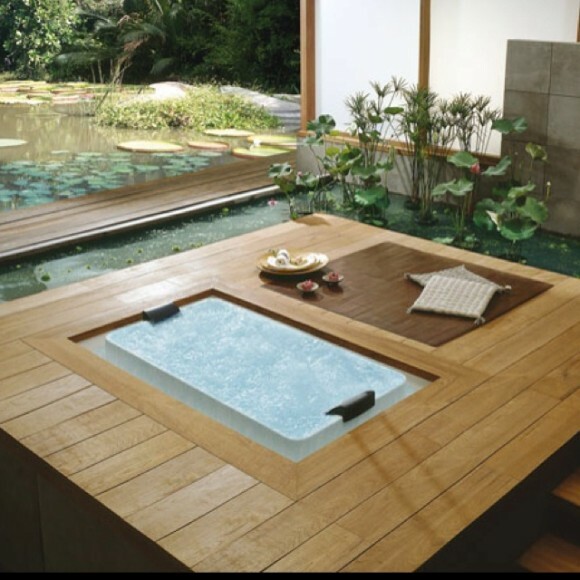 The bottom appears curved and a seating ledge on the inside allows bathers ample space to sit down and relax for a long soak.